First published in London in 1888, this is the complete works of one of the great poets of English Romanticism in ten charming, compact volumes. WILLIAM WORDSWORTH (1770-1850), Britain's Poet Laureate from 1843 until his death, limned some of the finest verse in the English language, tender poetry on human love and the natural world-some of his most memorable lines describe England's beautiful Lake District, where he spent much of his life, as filtered through his sensitive and serious heart. 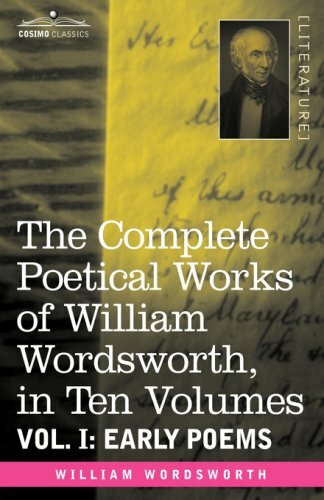 Beloved of readers for centuries, Wordsworth's timeless verse is a treasure to enjoy for the nourishment of one's own soul, and to share with other lovers of language.